Of all the auto maintenance items on your to-do list, few are more important than regular oil changes. While this car care task can be completed in under an hour, the benefits of keeping up with your oil changes will last for several thousands of miles. Here are just a few of the top reasons you should never neglect routine service. Over time, contaminants will build up in your old engine oil. As dust and other particles accumulate, the performance of the oil decreases, and the risk of damaging your engine’s internal components goes up. An oil change will replace the deteriorated oil with clean, fresh liquid to prevent these problems. Fresh oil offers superior lubrication, which reduces engine friction and helps improve your gas mileage. Getting a regularly scheduled oil change can ultimately help you save money at the pump. The longer you go without changing oil at recommended intervals, the worse your fuel efficiency will become. Following your vehicle manufacturer’s guidelines for oil changes will boost your engine’s overall performance and prevent a premature breakdown. By reducing friction and undue wear and tear, you’ll avoid costly repairs and the even more extreme — and expensive — measure of replacing your engine altogether. 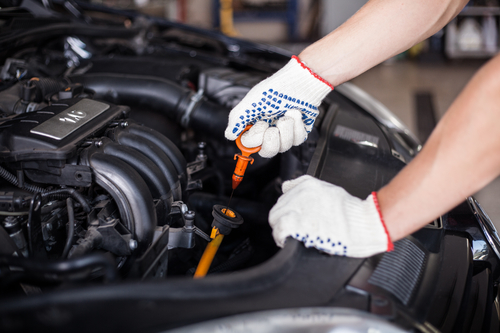 Whether you need oil changes or more involved auto repair work, you can trust Brown's Transmission Services & Full Service Auto Repairs in Newark, OH, to keep your vehicle working smoothly. With a two-year warranty on all repair work, you can have confidence that their technicians will provide quality results. To learn more about their services or to schedule an appointment, visit them online or call (740) 522-4459 today. You can also keep up with them on Facebook. What Do Those Tire Noises Mean?